Ken Barnes, DBA is the Managing Consultant at Barnes Training and Consulting LLC and the Ken Barnes Real Estate Inc. These companies are all based in Santa Clarita and Los Angeles, California. Dr Barnes is a Board Member of Institute of Management Consultants -USA Southern California Chapter and the Chairperson of chapter’s membership Committee. 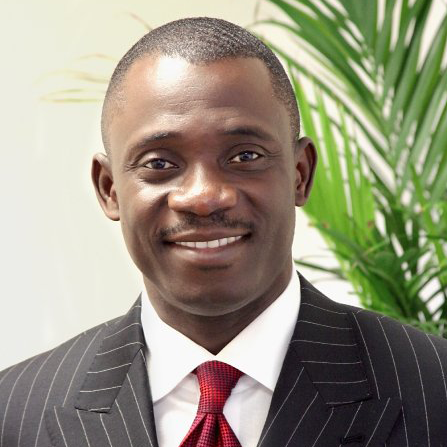 He also serves on the board of Directors of the Solid Foundation International Development Agency (SOFIDA) a non -profit charitable organization dedicated to seeking the welfare of African Immigrants in California and elsewhere and Orphans around the world. Dr Barnes is also a board member of the Lakeview Foundation which champions girls education in Ghana. Dr Barnes Served on the Board of the World Methodist Council for 6 years. As a successful entrepreneur with multiple businesses, Dr. Barnes has a vast range of business and consulting experience in the areas of Entrepreneurship, Finance, Banking, Management, Strategic Planning, Start-Up Businesses, Human Capital Development, Real Estate, and Customer Service. Ken has consulted for many business entities in many industries including, healthcare, pharmaceutical, education, churches and Para-church organizations, construction, computer and information technology, staffing agencies, real estate and finance and many non Profit entities. Ken has taught Human Development, Financial Management, Real Estate, Sales, Small Business Management and Launching Successful Small Businesses to many Students, businesses and business industry practitioners . Dr Barnes writes extensively on Entrepreneurship, Business Management, Personal Finance and Real Estate. Ken has a Bachelor of Science degree in Finance from the University of Ghana. MBA from California Coast University, Doctor of Business Administration-DBA from the California Inter Continental University.(CalUniversity).. He is currently a PhD (Management) candidate at Capella University. For his theological education, Dr Barnes studied at the Princeton Theological Seminary NJ and possess varied professional certifications in Business, Finance, Real Estate, and Insurance. Ken is married to the lovely Dr Angela Barnes (Physician Specialist) and they make their home in Santa Clarita California . They worship at the Solid Foundation Chapel-Santa Clarita where Ken teaches Sunday School every Sunday.